Rapid DangerAs soon as slurry mixing starts,the gas is released very quicklyand in large quantities (just likea shaken fizzy drink bottle beingopened) – that’s why you must getout of the shed immediately.The first 30 minutes are the mostdangerous. This is why it is soimportant for farmers to leave theshed as soon as mixing starts andstay out for at least 30 minutes.ventilation, especially at slat leveland to try to mix on a windy day.Even at low concentrations, the gascan knock out your sense of smelladding to the danger.DO NOT stay in the shed to checkif the mixing is happening properly,you may have got away with this inthe past, but you are putting yourMINUTESAs mixing continues, the quantityof slurry gas released reduces.The concentration decreases asit mixes with the air. That’s whyit is important to ensure goodlife at risk. Instead, follow the code,get out and only go back after atleast 30 minutes. 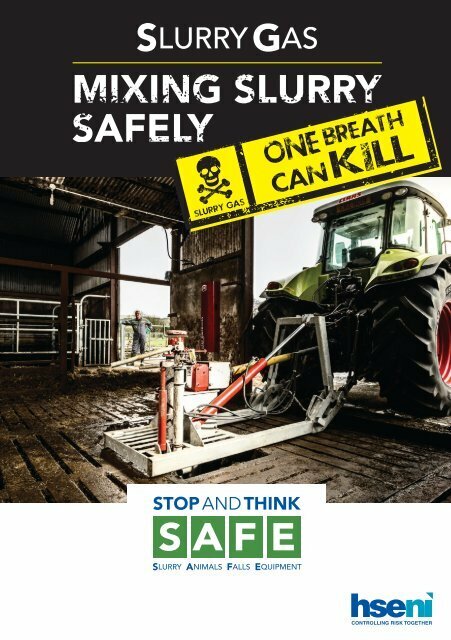 Tragically, over the past few years,incidents involving slurry have claimedthe lives of a number of people inNorthern Ireland, including a child.Don’t let it happen on your farm!STOP AND THINK• STOP and THINK - about the job andplan to do it safely.• THINK - cover all openings.• THINK - keep children and animalswell away when working.• THINK - stay out for at least 30minutes after mixing starts.Slurry Gas KillsSlurry gas is a mixture of gases - the mostdangerous gas is hydrogen sulphidewhich is extremely poisonous.  A lowconcentration knocks out your sense ofsmell so you don’t know it’s there. Athigher concentrations you will rapidlyfind it harder to breathe and becomeconfused. At certain concentrationsONE BREATH CAN KILL.This gas is heavier than air so:• It will settle over the slats – thereforeit’s important to have good ventilationat slat level.• Try to mix the tank when there is atleast 30 cm (1 foot) of space betweenthe top of the slurry and the slats.The more poisonous gas in this space,the less there will be in the shed.• Bending down into the invisible gascloud for even a few moments cancause unconsciousness.• Slurry gas can linger in low lyingareas, e.g. milking parlour pits, soyou may need to stay out of theseareas for longer than 30 minutes.